Came here for my 2nd oil change service on my Giulia. Called around multiple dealerships for prices and found this one near my office. (Had no idea this one was so close) I thought I was gonna go to the dealer in Naperville or Tinley Park. Spoke with Greg over the phone and he was really cool about what they offer and quoted me. Everything was a breeze with the service dept here. Dropped my car off first thing in the morning, and it was ready by the end of the day when I got off work. Greg's crew really took care of me and even delivered me my car after being hand washed, interior included! Thanks Greg and crew! We were shopping for a Levante and came across a beautiful GranLusso in Schaumburg, over 400 miles away. Leanne was terrific. She answered our questions, sent additional photos and even scheduled a virtual delivery call, walking us through all the bells and whistles of the new car after it was delivered to our front door. We highly recommend Zeigler and be sure to ask for Leanne. 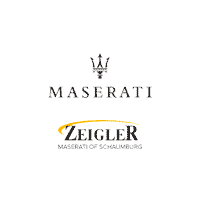 Leanne and the staff at Zeigler made leasing a new Maserati from out of state a smooth and hassle free experience. I would recommend them to anyone looking to buy or lease their next vehicle. I just bought a Giulia Ti Sport from this dealer and I have to say, the people I dealt with were a lot more pleasant and easy to work with than most of my previous car buying experiences. Nicollette was very patient and most importantly, not pushy at all with me. More sales people need to figure that out. They were upfront and honest from the get go with me about numbers and what kind of deal they could make. Very happy with the outcome! I worked with Leanne and John to custom order a 2018 Maserati Ghibli SQ4. They were both very pleasant to deal with, gave me a great deal, and we had a smooth transaction. 5 stars. Was a wonderful experience. Leanne was very upfront with us with all the Cost. She reviewed the car with us. The in-and-out process for the paperwork was great they sent it to us in an email beforehand so we could have it all done it was very fast and an actual pleasant experience thank you Leanne! !